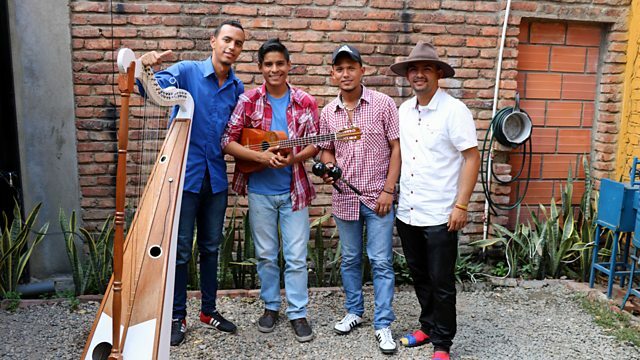 Down but not out in a Colombian border town, four Venezuelans pin their hopes on music. Cucuta is a desperate place, overflowing with Venezuelans who are streaming across the nearby border, fleeing economic collapse. In among the desperation are glimmers of hope, like the four young musicians busking their way round the city’s restaurants to earn money. Karenina Velandia, who grew up in Venezuela, follows her compatriots’ highs and lows as they try to scrape together enough to survive - not just for themselves, but for the parents, wives, and children they’ve left behind.